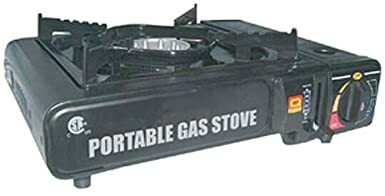 Amazon.com has the same Coleman PefectFlow 1-Burner Stove price at $26.26 plus $9 shipping. 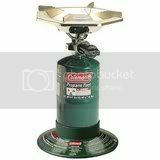 Great for when space is limited and a full-sized camp stove is too much, Coleman's One-Burner Propane Stove has all you need to cook up hearty meals on the road (or in the woods). It features 10,000 BTUs of cooking power, a large, 8" burner bowl and pot supports that shield the flame from wind. It cooks for up to 2.2 hours on high and 9 hours on low and boils a quart of water in just 4 minutes! Nearly 100 years ago, a young man with an entrepreneurial spirit and a better idea began manufacturing lanterns in Wichita, Kansas. His name was W.C. Coleman. Today, Coleman makes top-quality products that are found on outdoor adventures and family camping trips all over America. 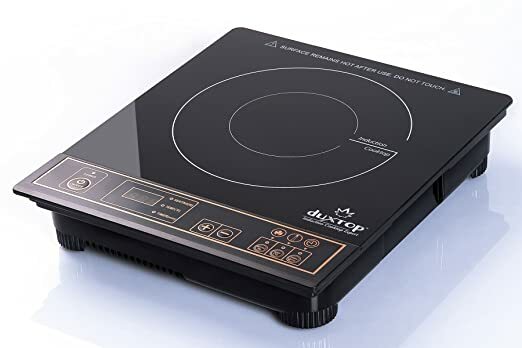 DUXTOP 1800-Watt Portable Induction Cooktop Countertop Burner 8100MC 这个是一个灶眼的电磁炉，很轻 uses 120 volts, 15 amps of electricity - standard in all homes。 非常适合作为备用灶眼或者，怕弄脏灶台，可以放在屋外烹饪。也可以户外野营时找有电源的地方用。原价130刀， 现在打折后$59.95 with free shipping. Amazon now you can buy this Coleman PerfectFlow 10,000 BTU 2 Burner Grill Camp Stove for just $46.25 (regularly $69.86) with free shipping. 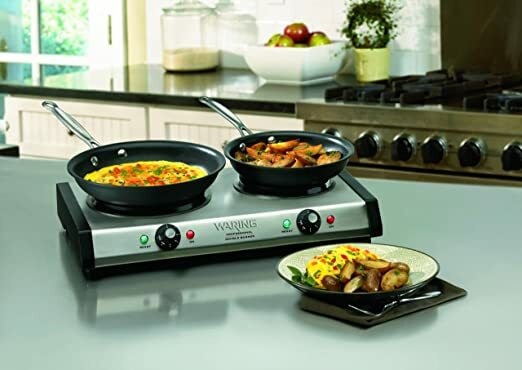 Both the grill and stove surface are fully adjustable, generating up to 10,000 BTU’s of cooking power and features a non-stick surface that makes clean up easy. 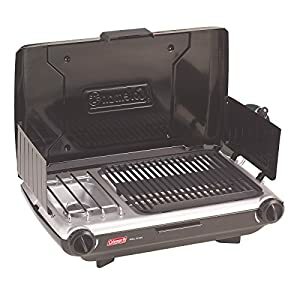 This small grill would be perfect for camping, tailgating, picnics or to have on-hand in case of emergencies. 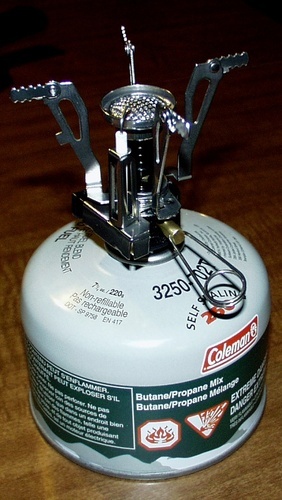 Walmart.com now you can get this Coleman 1-Burner Tabletop Butane Camp Stove for only $13.02 (regularly $29.99) when you select for free in-store pickup. Walmart.com now you can get this Stansport Camp Fire Tripod for just $9.57 – regularly $26.99! You’ll need to choose the free in-store pickup option to get this low price. *Note that this tripod stand does not include a cast iron dish. Heavy duty solid steel construction. Nickel plated chain with "S" hook for easy cooking height adjustment. Sturdy "3" leg design for maximum stability. Excellent for hanging Dutch ovens, tea pots, coffee pots and more. over a cooking fire. Also works great for hanging lanterns, suspending water jugs, drying clothes and many uses. Today, June 1st only, go to Amazon.com and get this highly rated MalloMe One-Liter Camping Cookware Mess Kit for only $15.99 (regularly $69.95). 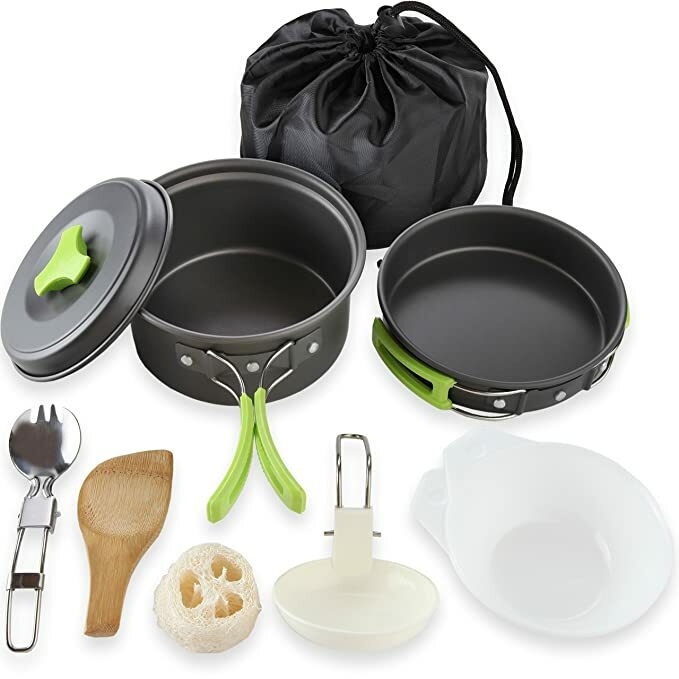 This ten-piece set includes one anodized aluminum nonstick one-liter pot with cover, nonstick pan, two BPA free bowls, folding stainless steel spork, soup spoon, wooden spoon spatula, cleaning sponge, nylon travel bag drawstring pouch, recipe e-guide and more. 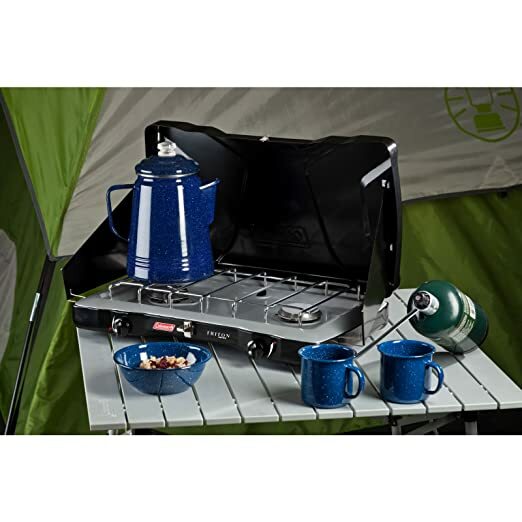 This grill-top coffeemaker features a steel base that fits over most camp stove burners. 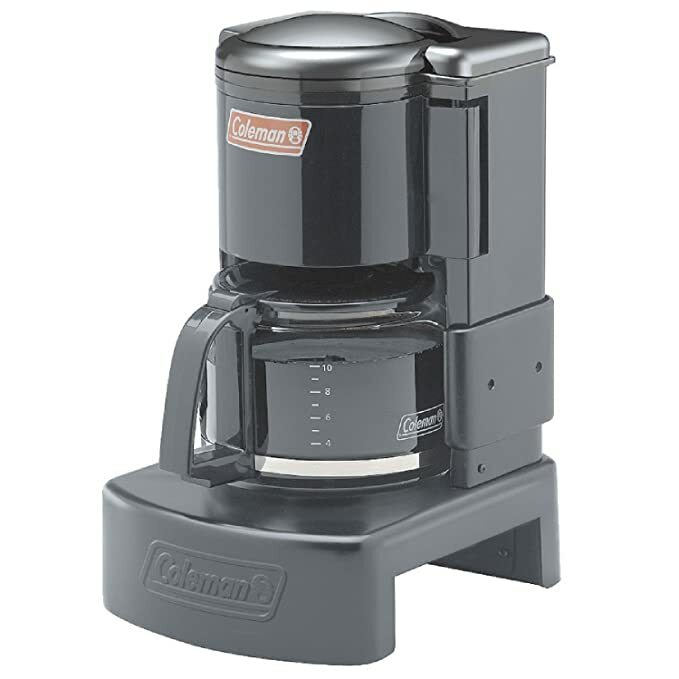 It includes a Pause ‘N Serve button and can make up to 10 six-ounce cups of coffee without requiring an electrical outlet.